Michael Cole's current research is focused on the creation of University-Community partnerships. The basic strategy of the research is to place undergraduates in community settings populated by children under-represented in most American universities. The goal is to propose and test principles for the design of effective out of school learning experiences for the children and authentic theory/practice education for the students. 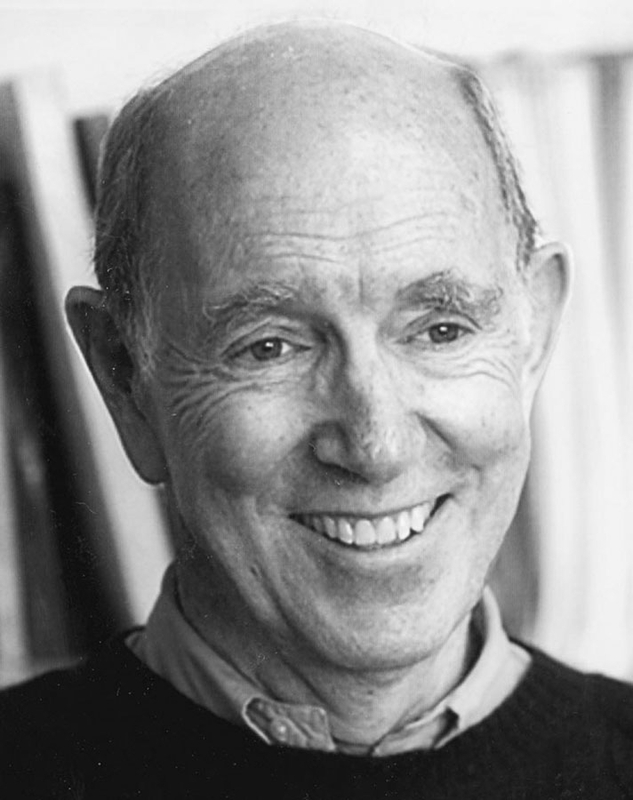 Professor Mike Cole is a member of the National Academies of Education of the United States and Russia and a member of the American Academy of Arts and Sciences and a University Professor Emeritus in the University of California. Significant publications, almost all of which were collaborative efforts with various colleagues include The Cultural Context of Learning and Thinking (Basic Books, 1971), Cultural Psychology Harvard University Press, 1996), The Development of Children (2008), and The Fifth Dimension: An After-School Program Built on Diversity (Russell-Sage, 2006). Along the Paris streets, the death carts rumble, hollow and harsh. Six tumbrels carry the day's wine to La Guillotine. All the devouring and insatiate monsters imagined since imagination could record itself, are fused in the one realization, Guillotine. And yet there is not in France, with its rich variety of soil and climate, a blade, a leaf, a root, a sprig, a peppercorn, which will grow to maturity under conditions more certain than those that have produced this horror. Crush human humanity out of shape once more, under similar hammers, and it will twist itself into the same tortured forms. Sow the same seed of rapacious license and oppression over again, and it will surely yield the same fruit, according to its kind. Sylvia Scribner and Mike Cole, in Reviews in Anthropology, Vol. 1, No. 1, Feb. 1974. Michael Cole, in Mind, Culture, and Activity, 16: 291-295, 2009. Michael Cole, in Qualitative Research, © 2010 Elsevier Ltd.
Michael Cole, in Developmental Psychology 2013, Vol. 49, No. 1, 84-91. The World Beyond Our Borders: What Might Our Students Need To Know About It? Mike Cole, in American Psycholoist, September 1984 (pp.998-1005). Michael Cole and James. V. Wertsch, in Human Development, 1996:39:250-256. Vygotsky and Context: Toward a Resolution of Theoretical Disputes in The Sociocultural Turn in Psychology: The Contextual Emergence of Mind and Self, Cole, M., Gajdamaschko, N., In, S. Kirschner, & J. Martin, J. (Eds) (2010). (pp. 253-280). New York, NY, US: Columbia University Press. Cole, M. (2006), in American Psychologist, 61(8), 904. Cole, Michael, Laboratory of Comparative Human Cognition (13). Cole, Michael, Edited by James Wertsh, Pablo del Rio, Amelia Alvarez (1995). On the study of culture and mind: Interview with Prof. Michael Cole, February 2011. The cognitive consequences of education: Some empirical evidence of theoretical misgivings Cole, M., & Sharp, D., & Lave, J. (1976). The Urban Review, 9(4), 218-223. The concept of literacy in print and film Cole, Michael, and Keyssar, Helene. Culture and Cognitio Cole, M., & Cigagas, X.E. (2010)., In M. H. Bornstein (Ed.). Handbook of cultural developmental science. (pp. 127-142). New York, NY, US: Psychology Press. Design experimentation as a theoretical and empirical tool for developmental pedagogical research. Nicolopoulou, A. & Cole, M. (2010). Pedagogies. An International Journal, 5 (1), 61 — 71. Creating an Idioculture to Promote the Development of Children Who Have Suffered Cerebral Palsy Braga, L., Rossi, L., & Cole (2010), Educação e Contemporaneidade (Education in the Contemporary World). Rethinking the Goody Myth Michael Cole, Jennifer Cole. Contextual Factors in Education: Improving science and mathematics education for women and minorities (1987) Ed. Michael Cole, Peg Griffin, LCHC. Phylogeny and cultural history in ontogeny Michael Cole (Available in Russian). Zone of Proximal Development. (1985) Cole,Michael. Cultural-Historical Activity Theory in the Family of Socio-Cultural Approaches International Society for the Study of Behavioral Development Newsletter. 47(1), 1-4 by Cole, Michael. Current activity for the future in Children's Learning in the "Zone of Proximal Development" Peg Griffin and Mike Cole, 1984. Can Cultural Psychology Help us Think About Diversity? Michael Cole, UCSD LCHC 1998. Cultural Amplifiers Reconsidered Michael Cole and Peg Griffin, 1980, Ch. 15, pg. 343-364. Contemporary Implications of Vygotsky and Luria Michael Cole and James V. Wertsch, 1996. A Cultural Theory of Development: What does it Imply About the Application of Scientific Research? (1991). Michael Cole. Vygotsky and Context Where did the Connection Come From and What Difference Does it Make? Michael Cole. Reading Vygotsky (Preface to an edited collection of Vygotsky Writings by Rieber and Robineon). Michael Cole. Comments on Commentaries About Cultural Psychology Michael Cole. Ecological Niche Picking: Ecological Invalidity as an Axiom of Experimental Cognitive Psychology (Unpublished Manuscript) Michael Cole, Lois Hood, and Ray McDermott. School's Invasion of “After-School”: Colonization, Rationalization, or Expansion of Access? (2003) Nocon, Honorine, Michael Cole. Alexander Luria, Cultural Psychology and The Resolution of the Crisis in Psychology (1997) Michael Cole. Culture and Cognitive Science A Talk Presented to the Cognitive Science Program, U.C. Santa Barbara, May 15, 1997. Michael Cole. A translation of A Talk Presented to the Cognitive in Romanian. Cultural Historical Activity Theory, Katherine Brown and Michael Cole. The Illusion of Culture-free Intelligence Testing Cole, Michael. A Cultural-Historical View of Human Nature (1998) (Bibliography) Michael Cole and Karl Levitin. Cultural-Historical Approaches to Designing for Development Cole, Michael and Engestöm, Yrjö. Struggling with Complexity:The Handbook of Child Psychology at the Millennium (2000) Michael Cole. Bruner and Hybridity Talk Presented at Symposium Honoring Jerome Bruner, Meetings of the American Anthropological Association, San Francisco, Nov. 17, 2000. "Literate Mathematical Discourse: What it is and why should we care?" Anna Sfard, The University of Haifa, Haifa, Israel, 2002 Michael Cole, University of California San Diego, USA. The Fate of Stages Past: Reflections on the Heterogeneity of Thinking from the Perspective of Cultural-historical Psychology Michael Cole and Eugene Subbotsky. Beyond the Individual-social Antimony.pdf, (1996) Michael Cole, James V. Wertsch. Promoting Service Learning as a Byproduct of Academically Oriented, Community Based Practicum Courses. Elaine Parent, Lars Rossen, LCHC. Commentary on Conceptualizing Cultural and Racialized Process in Learning Michael Cole, in Human Development, 2012;55:340-347. Influence of Schooling on Concept Formation Cole, M., and D'Andrade, R.
Situational Variability in the Speech of Preschool Children M. Cole, J. Dore, and W. S. Hall. Literacy without School Testing for Intellectual Effects Sylvia Scribner and Mike Cole. Socially-Shared Cognition: System Design and the Organization of Collaborative Research Katherine Brown and Michael Cole. A Utopian Methodology as a Tool for Cultural and Critical Psychologies: Toward a Positive Critical Theory Katherine Brown and Michael Cole. Schooling and Human Development Michael Cole. Cross-cultural and Historical Perspectives on the Consequences of Education: Implications for the Future (November 1, 2002) Michael Cole. Comparative Cognitive Research: Learning from a Learning Disabled Child (1981) Michael Cole, Ken Traupmann. Individual and Collective Activities in Educational Computer Game Playing (1997) Victor Kaptelinin, Michael Cole. A Model System Approach to Reading King, Griffin, Diaz, Cole. New Technologies, Basic Skills: Language, Literacy and Culture Peg Griffin, Michael Cole. A Socio-Historical Approach to Re-mediation Michael Cole and Peg Griffin. Design Experimentation and Mutual Appropriation: Two Strategies for University/Community Collaborative After-School Interventions Deborah Downing-Wilson, Robert Lecusay, and Michael Cole. Cultural-Historical Approaches to Designing for Development Michael Cole & Yrjö Engeström. Using Cross-Cultural Psychology to Design Afterschool, Educational Activities in Different Cultural Settings Michael Cole, 2005. Youth Development FOCUS: A Monograph of the 4-H Center for Youth Development University of California, Davis Ketherine Brown and Michael Cole, 1997. Documenting Children's Problem Solving Behaviors: Using Fieldnotes of Participant Observers Amy Olt, Michael Cole and Scott Woodbridge. Sustaining Model Systems of Educational Activity: Designing for the Long Haul Paper Presented at Symposium Honoring the Work of Ann Brown (2001) Michael Cole. Challenges to Studying Developmental Processes in Voluntary Afterschool Programs Prepared for AERA, April, 2001 Michael Cole. Designing implementing, sustaining, and evaluating idiocultures for learning and development: The case study of the Fifth Dimension. pg. 331 Michael Cole. Infancia y Aprendizaje, Mike Cole (1984). Michael Cole, Conferencia en Cuernavaca, Mexico (1996). Mike Cole y Peg Griffin (1989). Translation: "Re-mediation, Diagnosis, Remediation" Mike Cole, & Peg Griffin, Esteban Diaz, Catherine King 1989. Translation: "The interweaving of the Phylogenetic and Cultural-Historical in Ontogeny"
КОММЕНТАРИИ К КОМЕНТАРИЯМ КНИГИ: "КУЛЬТУРНО–ИСТОРИЧЕСКАЯ ПСИХОЛОГИЯ –НАУКА БУДУШЕГО"
Translation: "Comments on Commentaries About Cultural Psychology.” 1994. Translation: "A Portrait of Luria: An epilogue to the English language translation of A.R. Luria's autobiography, The Making of Mind." Translation: "Freedom and Constraint in Human Action" Michael Cole & James Wertsch, 2011. Translation: "Alexander Luria and Cultural Psychology." Translation: "A cultural-historical approach to re-mediation", USSR 1998. Interview (2006): The Role of Technology in Learning and Education, a movie. Remembering Giyoo Hatano - wmv file. Richard Atkinson, former UCSD Chancellor and retired president of the University of California. Jeff Elman, Dean of the Social Sciences. Carol Padden, Professor in the Communication Department. Veverly Anderson, Town and Country Learning Center. The Staff of the Communication Department, UCSD. Mike Cole, the man himself.